Getting into RV travel doesn’t have to be as expensive as you think. 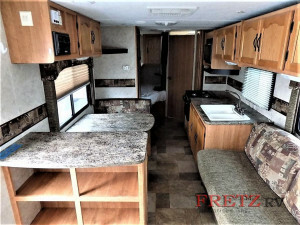 While there are certainly big luxury rigs that can retail for over six figure prices, there are plenty of options for those on a budget, including these motorhomes and travel trailers that are currently priced under $10,000 at Fretz RV. Check out our choices for budget RVs. First up is this 2001 Coachman RV Catalina that’s priced at $4,995. If you’re looking for an affordable option, this is for you. 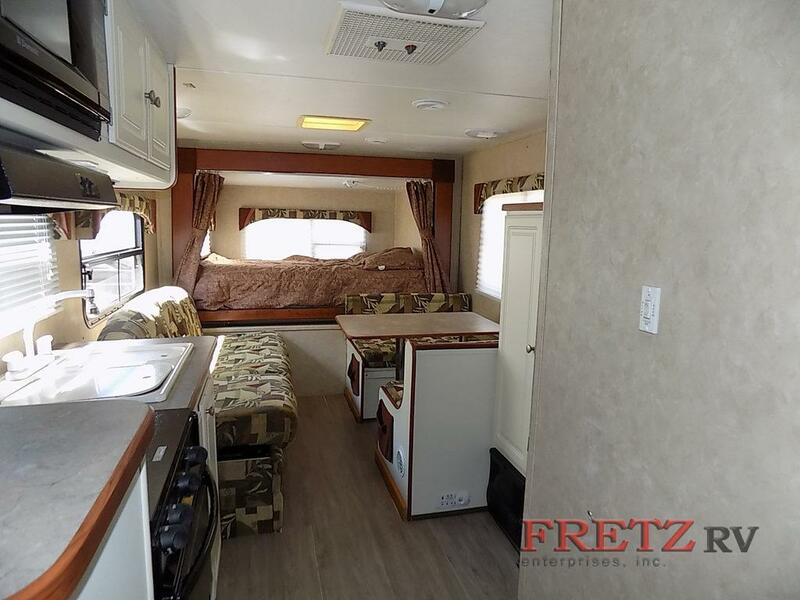 This trailer is loaded with comfortable features that will make you feel right at home. It has plenty of cabinet space in the galley, bedroom and bathroom, a dinette, bunk space, a built-in microwave and fridge, and more. The bathroom has a shower and tub. 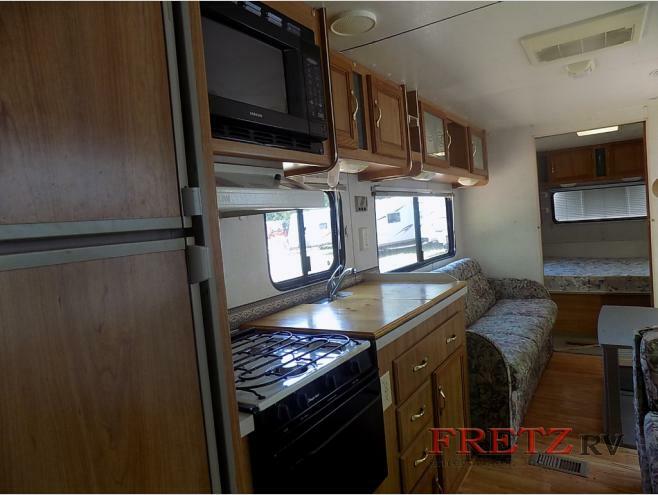 Next, you have this 2006 Gulf Stream RV Gulf Breeze 23, which is priced at $6,995. With room for up to nine people to get some sleep in, this is a great and affordable choice if you just want to get out there and camp with friends and family. 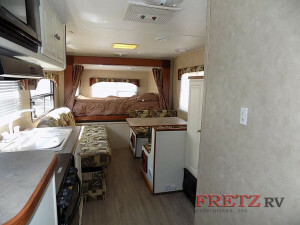 There are retractable bunks, a sofa, and a rear queen bed slideout. Other features include a power hitch jack, an awning, air conditioning, a furnace, a refrigerator, a microwave, a stove with an oven, a shower and a toilet. Finally, check out this 2008 Keystone RV Freedom Lite 279TB, priced at $9,995. 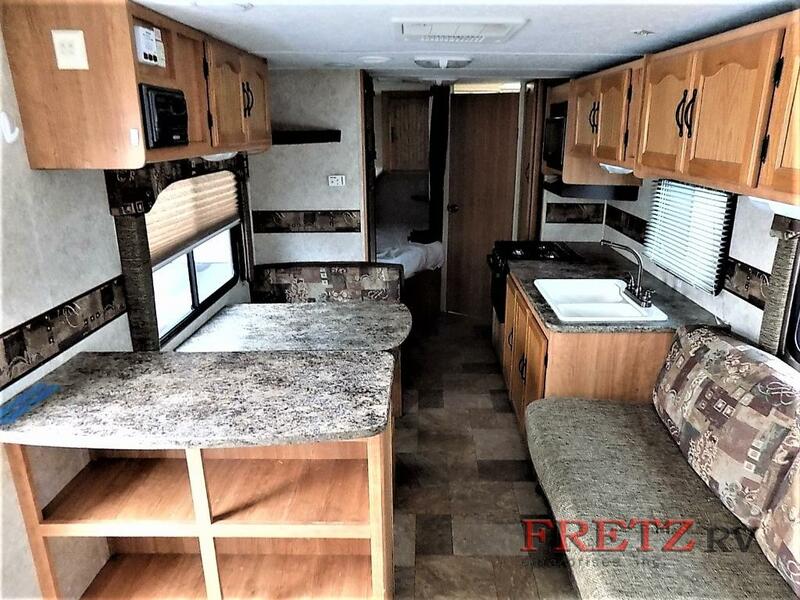 This Keystone trailer is equipped with lots of cabinet space, an additional fold-out bed, air conditioning and heating, storage space in the dinette seats, and more.